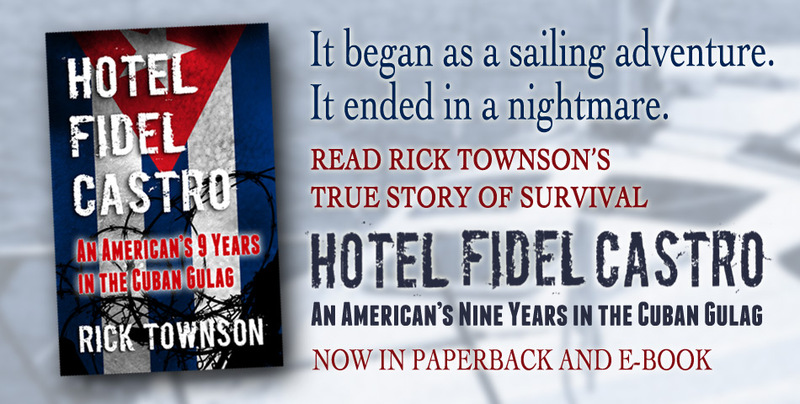 Get the trade paperback edition of "Hotel Fidel Castro: An American's Nine Years in the Cuban Gulag." 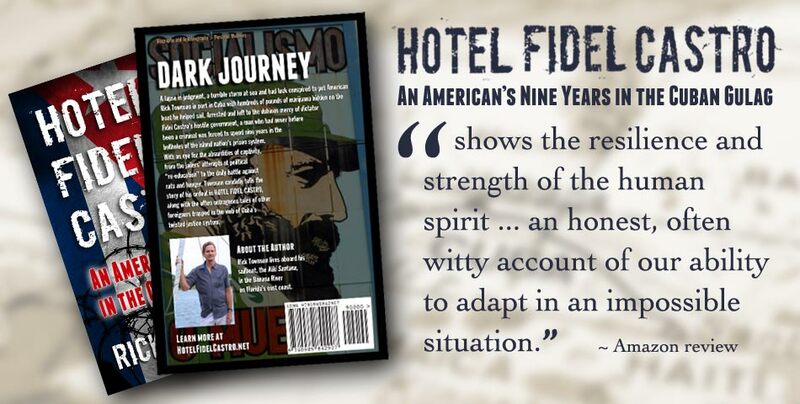 Get the Kindle edition of "Hotel Fidel Castro: An American's Nine Years in the Cuban Gulag." Get the Kindle edition for just $2.99 if you buy the paperback as part of the Amazon Kindle Matchbook discount! Read a sample of "Hotel Fidel Castro." 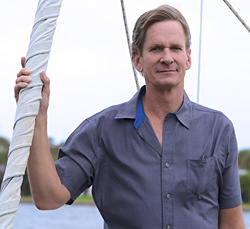 Get Rick Townson's memoir "Hotel Fidel Castro"
A lapse in judgment, a terrible storm at sea and bad luck conspired to put American Rick Townson in port in Cuba with hundreds of pounds of marijuana hidden on the boat he helped sail. Arrested and left to the dubious mercy of dictator Fidel Castro's hostile government, a man who had never before been a criminal was forced to spend nine years in the hellholes of the island's prison system. With an eye for the absurdities of captivity, from the jailers' attempts at political "re-education" to the daily battle against rats and hunger, Townson candidly tells the story of his ordeal in "Hotel Fidel Castro," along with the often outrageous tales of other foreigners trapped in the web of Cuba's twisted justice system.